One of the prettiest goldenrods, with dense yellow flower clusters and reddish stems. A shorter goldenrod found in open woods, fields and prairies in the Northeast. Has tiny yellow flowers in thick clusters on unbranched, reddish stems. Blooms later than most other goldenrods. As the common name suggests, this is one of the prettiest goldenrods. 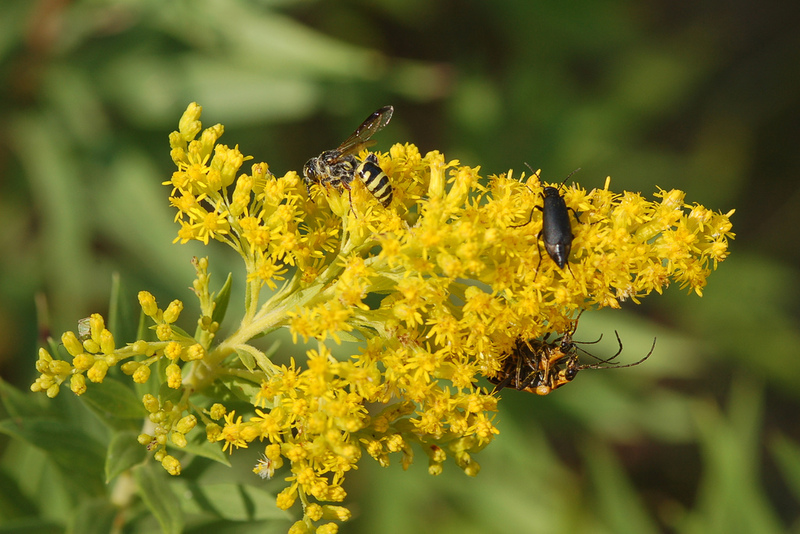 Goldenrods are an important nectar source for migrating Monarch butterflies. Solidago speciosa?can be distinguished from other goldenrods by the shape of the flower cluster. The side stalks of the cluster curve upwards, while in most other goldenrods these stalks curve down or out. It also has leaves and stalks that are smooth, not hairy.